[deleted post]Must be around 14K. Why with older android 1.6? How can some1 install applications on memory card? 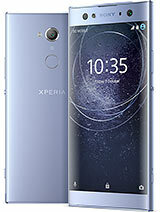 You gsmarena guys why you are taking so long to post the review of xperia x8. Cmon post it soon. Anonymous, 30 Sep 2010Galaxy 3 wont get resolution 320 x 480 pixels, XPERIA X8 have it.Galaxy 3 is cheaper than X8 thats why display resolution is low. Anonymous, 30 Sep 2010Samsungs r much better than SE foolso what the hell are u doing Here ??? why u waste ur time here ? Idiot ! guys... i want x8 but it's taking too long time until it release in my country... should i go for x10 mini pro? Ravi, 30 Sep 2010X8 wont get android 2.2 for sure so its a total waste of money. Galaxy 3 will get 2.2.This place is not for junks like u and all those people like u who like junk and use junk and praise over here. This place is for class people who owns and uses class phone from sony ericsson not junkies like u. And better get some knowledge before commenting anything. the best phones are the HTCs, and Iphones, sontericsson do nothing and give phones with technologies which already exist, they don't innovate, their is no sonyericsson which get Froyo. It is the minimum today, they still didn't unterstand that. Ravi, 30 Sep 2010X8 wont get android 2.2 for sure so its a total waste of money. Galaxy 3 will get 2.2.why will it not get Andriod 2.2? Galaxy 3 wont get resolution 320 x 480 pixels, XPERIA X8 have it. Tania, 29 Sep 2010dont even think about it!! !X8 wont get android 2.2 for sure so its a total waste of money. Galaxy 3 will get 2.2. This phone could be a big hit for Christmas. Picture the scene. A 12 year old wants an iPhone or HTC HD but the parents can't afford it and don't really trust their child with a contract phone (loss/theft). Their only option is a Pay-as-you-go. £129 for an Android phone compared to £400+ for a top of the range phone is ideal. Assuming SE get their finger out and have this phone running at least 2.1 by Christmas I can't see why this phone won't be a hit.